Parcel Select Ground is a USPS mail class that offers ground delivery service at very low rates for large or heavy packages. When using this mail class, shipments can weigh up to 70lbs. and delivery ranges from 2–8 days. 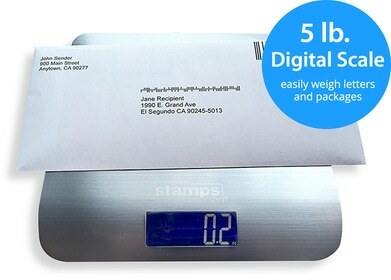 Rates are based on distance, weight and mailpiece dimensions. How to use Parcel Select Ground? All three service levels have a minimum requirement of 50 Parcel Select Ground pieces and packages must be pre-sorted to select NDC/ASF destinations. Other requirements apply. Parcel Select Ground — Lightweight* This service is for packages weighing less than 1 lb. and is subject to specific volume, marking and preparation requirements. Swipe right to see entire table *This service is not currently supported by Stamps.com software. Parcel Select Ground is not available at Post Office locations. It’s available only to online customers who use the services of an authorized USPS business partner or PC Postage approved vendor such as Stamps.com. Stamps.com allows you to easily print Parcel Select Ground shipping labels. The service includes free USPS Tracking and you can ship as many Parcel Select Ground packages as you need. There are no minimum requirements. The service also includes a Hold for Pickup option so your customers can pick up valuable merchandise at their local Post Office if needed.